We bring forth a comprehensive range of Instrumentation Cables, which is in line with national and international standards. Owing to cost efficiency, these cables are widely used for connection of instruments, process control systems, computers, data transmission and Temperature Censors. In order to assure outstanding performance, we manufacture these cables using latest technology and quality raw material. The elementary necessities of any instrumentation Cable are performance, competence and long term steadfastness. Instrumentation Cables make sure higher performance even in tough working environment because of the fact that strict quality control checks are carried out by our experts at every stage of the industrialized process. In machinery and wiring and cables has enabled us in gathering the requirements of our clients by presenting Instrumentation Cables. Accessible instrumentation cables are made in tune with international quality standard as per the ever-evolving need of customers. 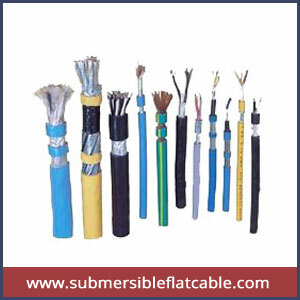 These instrumentation cables Manufacturer are well known for its strength, sturdiness and installation.